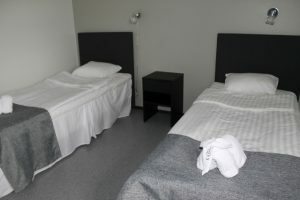 The hotel consists of mainly 1-3 person rooms. There is also one 5 person apartment with two bedrooms, a living room, kitchen and sauna. On the third floor can be found hostel accommodation, with rooms for 2-8 persons. 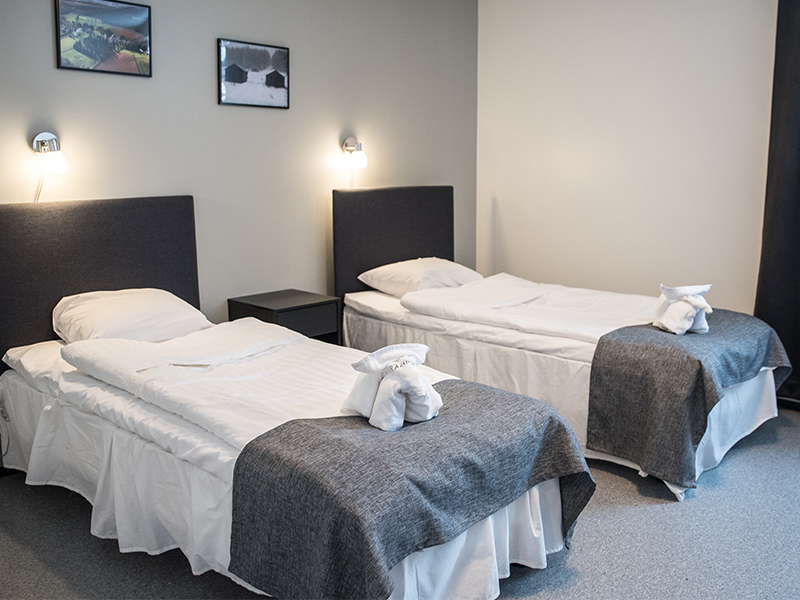 The hostel rooms share toilet and shower facilities, which are located on the corridor. 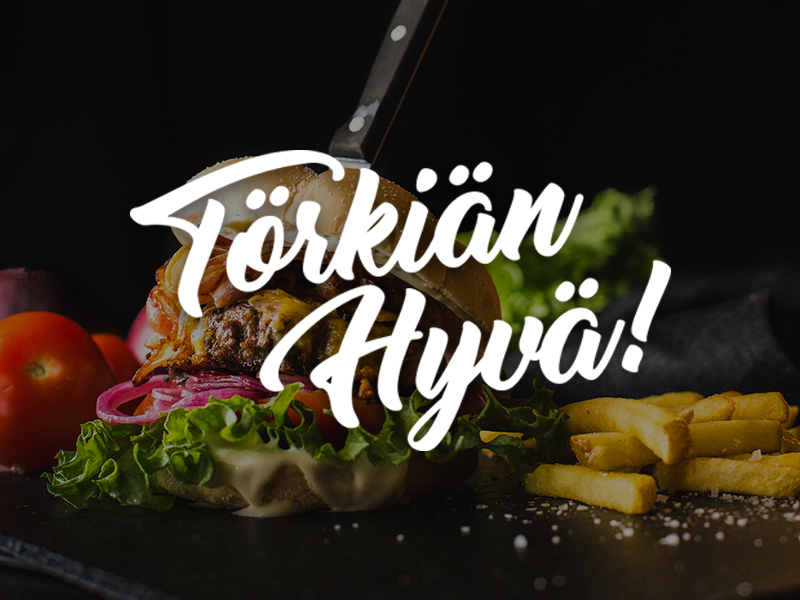 Included in the price is breakfast, use of the sauna facilities and parking, which includes during the winter, an electric point for heating your car. In the hotel grounds is also a point for charging electric cars. Rooms can be reserved by phone or via email. To reserve a room or inquires call +358 40 648 0404 or by email to info(a)kampeli.fi. Outside of hotel opening hours you can reach us on +358 40 668 1539. 1-3 person room. 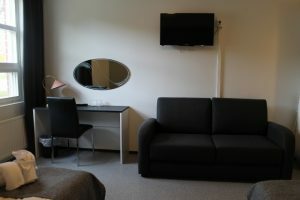 The rooms contain separate 80cm or 90cm wide beds, TV, shower, WC, desk, chair and wardrobe. Room size is 20m². 1-3 person room. The rooms contain separate 80cm or 90cm wide beds, TV, shower, WC, sauna, desk, chair and wardrobe. Room size is 25m². 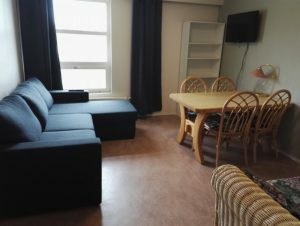 5 person apartment with two bedrooms, living room and kitchen. In the bedrooms are separate 80cm wide beds and the option of an extra bed if required. In the apartment can be found a TV, dining table, desk, chair, wardrobe, shower, WC, sauna, microwave, fridge, coffee maker, dishes and cutlery for five and a sofa. Summer Prices 1.5. - 1.9. Winter Prices 2.9. - 30.4.